Fancy getting a head start on your home? Is it time to refresh a room that’s past its best? Well at Shutterly we have a brilliant new competition to help you do just that. Fancy getting a head start on your home? Is it time to refresh a room that’s past its best? Well at Shutterly we have a brilliant new competition to help you do just that.As home stores and designers start revealing what they think will be the big trends in colour and design for Autumn 2015, we wanted to share with you one of our favourite new looks, and offer you a chance to give your own space an update. Everywhere we look we’ve seen blue as a huge story for this autumn’s homes. 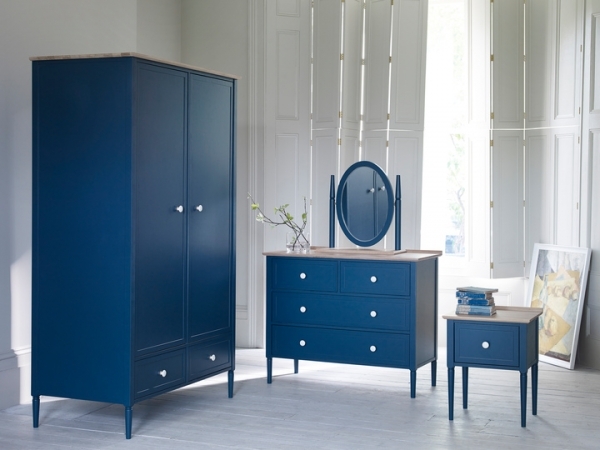 From deep navy to vibrant, bright blues the shade is everywhere, and no one did it better than iconic homestore Heal’s in their new Pinner range. We caught up with Kirsty Whyte, Product & Design Manager at Heal’s, to ask her about why blue is such a big presence this autumn, and how to make it work. The exciting news is that we are offering one lucky reader a brilliant head-start on the new season’s trends with £250 of vouchers to spend at Heal’s. If you’d like to get £250 to spend on beautiful new homewares – blue or otherwise – then simply enter our #roomrevamp competition on Facebook. All you have to do is tell us which of your rooms needs a revamp, then like and share our page. The winner will be chosen after the closing date of midnight, Sunday 9th August 2015. See here for full T&Cs. Good luck!